Based on the true events of September 2014, when 43 college students disappeared after a night of violence in the Mexican state of Guerrero, Emilia Cruz is detailed to a national task force to investigate such a crime. She’s the junior member and the only woman. As tensions within the task force soar, a diplomat from the United States embassy offers Emilia $50,000 to end the investigation into the missing students. The diplomat claims it is delaying the extradition of a famous jailed cartel leader known as the Barrel Bomber, who escaped from prison in Mexico twice before. If the extradition doesn’t happen soon, chances are he’ll escape again. In the remote Coyuca Lagoon reserve, Detective Emilia Cruz Emilia and her partner Franco Silvio find an elaborate altar to Santa Muerte next to the body of a known gang member. Prayers to the so-called Skeleton Saint deliver a dire warning to the death saint’s enemies. When a rival gang retaliates with mutilations and public messages, warfare sweeps across the city. Emilia’s investigation is soon a maze of unholy clues. At the same time, everyone close to her has a brush with death. Bad luck? Or is the Skeleton Saint’s curse coming true? When partner Franco Silvio’s wife is killed, Detective Emilia Cruz is terrified that it is connected to the recent murders of three senior law enforcement officials with whom she worked. The El Trio murders have the Acapulco police is disarray but there are few clues. Detective Emilia Cruz stumbles upon a religious relic from Mexico's Cristero War at the same time as she and partner, senior detective Franco Silvio, find a murder victim aboard a cruise ship. The victim’s pockets are lined with Ora Ciega, a rare heroin strain from Colombia that promises more drug war violence for Acapulco’s already bloody streets. Emilia must catch a violent firebomber and find a missing girl before the iconic beach city is destroyed. Neither investigation is easy, because the influence and impact of Mexico’s drug war is everywhere, just like the salt breeze coming off the ocean. Emilia’s police work is soon hijacked by savage political rivalries, a corrupt Vice cop, and a woman in prison who knows more than she’ll say. Unexpectedly put in charge of the investigation when her lieutenant is found dead, Detective Emilia Cruz uncovers the lieutenant’s sordid sexual past as well as his role in a kidnapping double-cross and counterfeit money scheme. Reputations are threatened by her discoveries and truth is for sale. 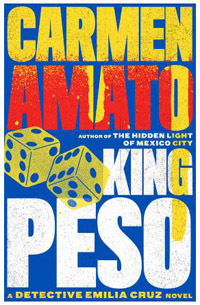 Emilia becomes a pawn in an ugly game of power and corruption played by Acapulco’s ambitious mayor and the powerful police union. Rival police detectives try to sabotage Emilia’s investigation. Their ringleader is a prime suspect. A norteamericano hotel manager, Kurt Rucker, has some helpful advice for Emilia but the heat between them is too hot to handle. "The Beast" captures Emilia’s struggle to become the first female police detective in Acapulco. 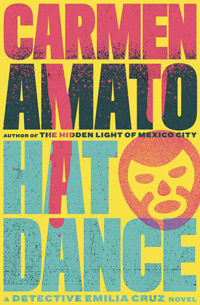 It previously appeared in The Huffington Post’s Huff/Post 50 Featured Fiction showcase. "The Disappeared" sees Emilia search for a friend who goes missing. 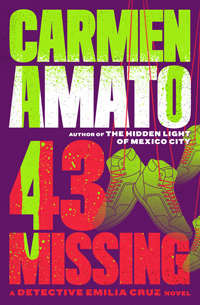 Those who have gone missing amid Mexico’s drug war violence is a continuing theme throughout the mystery series. "The Artist" was inspired by Mexican poet Javier Sicilia’s efforts to bring awareness to the plight of families impacted by the drug war violence and references photos of some of the rallies held in Mexico in recent years. "The Date" explores the downside of a job that pits Emilia against Mexico’s enduring culture of machismo, while also drawing on real events that occurred in a nightclub in Mexico in 2006. "The Cliff" is the original Emilia Cruz story. Written for a literary critique group, the story was initially entitled So Far From God and introduces hotel manager Kurt Rucker. 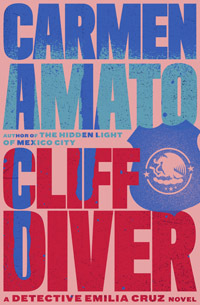 The story became the basis for the first Emilia Cruz novel, CLIFF DIVER. 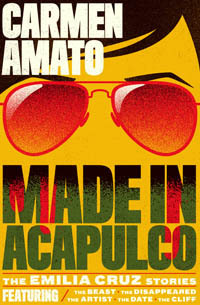 The Spanish translation of MADE IN ACAPULCO, the prequel collection of Detective Emilia Cruz stories. 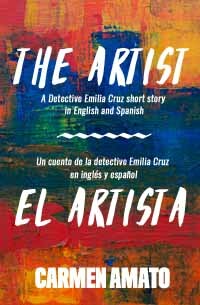 The English/Spanish dual language version of the short story "The Artist" from MADE IN ACAPULCO, intended as a language learning resource. These novels vibrate with the same risk, power, and corruption as the Detective Emilia Cruz police series. Expect sinuous plots, psychological tension, heart-pounding action, and relationships with heat. 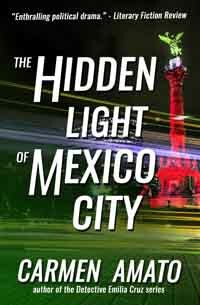 Wealthy Mexico City attorney Eddo Cortez Castillo and housemaid Luz de Maria Alba Mora were never supposed to meet. 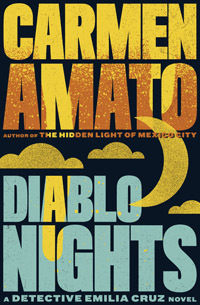 He investigates official corruption; she cleans toilets, trapped at the bottom of Mexico’s ladder of inequality. 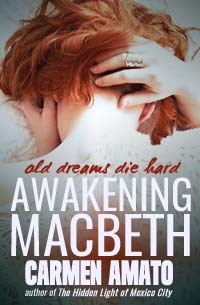 After the death of her father, University of Virginia professor Brodie Macbeth begins to have terrifying nightmares in which her life is threatened. It's grief, Brodie reasons. And then I took a break from making things up . . . 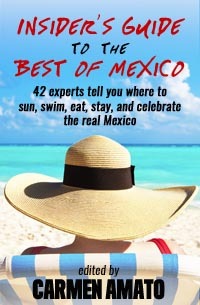 The Insider's Guide to the Best of Mexico is a unique and free collection of insider stories that you won't find anywhere else. It's your passport to a country full of color, culture, and contrasts. Forty-two writers, artists, educators, travelers, business owners and others share their experiences inside today's Mexico. Most of those who contributed stories are expatriates who have found opportunity and inspiration in Mexico. From hidden beaches to one-of-a-kind art to historic gems, The Insider's Guide to the Best of Mexico offers both recommendations and revelations. These stories are neither formal guidebook, social commentary, nor a substitute for unbiased news. They are an effort to share a landscape and lifestyle that have found a place in the hearts of so many.